Preschool Praisers meets on Wednesday 6:30PM on the ground floor of the Family Life Center near the Playground. It is open to children ages 3 to 5 years old. Preschool Praisers learn about God through music. They also sing from time to time during our worship services throughout the school year. They will also present an “old fashioned” Christmas Pageant this year! Mrs. Megan has a lot of great things planned for your children, and we hope you will make ever effort to bring your children to Preschool Praisers! Preschool Praisers meets on Wednesday 6:30PM on the ground floor of the Family Life Center near the Playground. It is open to children who are in 1st through 5th grades. 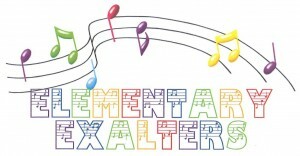 Elementary Exalters learn about God through music. They also sing from time to time during our worship services throughout the school year. They present a Christmas musical each year that is second to none! Mrs. 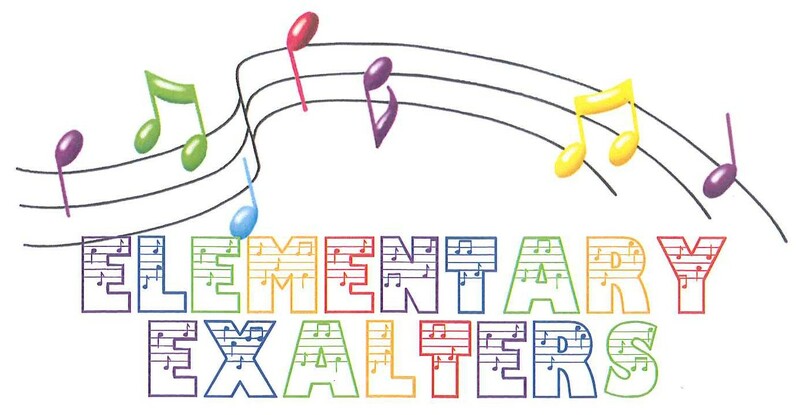 Dawn has a lot of great things planned for your children, and we hope you will make ever effort to bring your children to Elementary Exalters!